alive in the water longer than other first foods, giving the young Bettas time to eat them before they die off and start fouling the water. there is no right or wrong, you can pretty much just dump some in. Many people use cut up apples, but I found that a bit too messy. So use sugar because it is quick and easy and always available. and/or get your harvesting containers going in a few weeks. 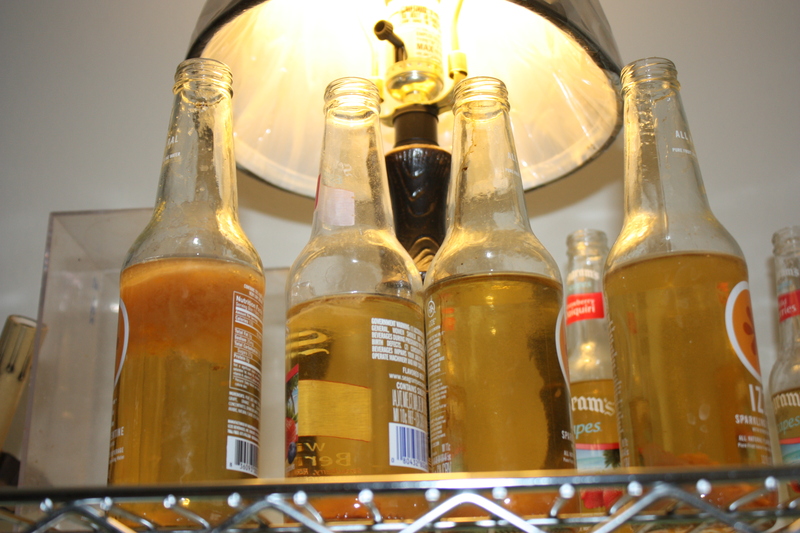 saved some wine cooler bottles. To this bottle add some of the cider mix and a “start” of your base culture. Add some sugar and again, set aside for a few weeks to multiply before harvesting. Every spawn will take one harvest bottle, so if you have multiple spawns, set up multiple harvest bottles. I often have several spawns at one time so I need to have several bottles to harvest from at any given time. So I maintain my base and start up several bottles to harvest from. If you need to harvest eels for a spawn as soon as you get your culture, put most of the starter in the harvesting bottle and a small start in the base container. Add sugar and set it aside to get established Harvesting will pretty much wipe out the population of eels in the bottle, so you want to get that base going so you have more eels in the future. be able to harvest the worms for a good 3 to 4 days before they are depleted. 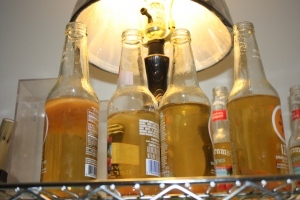 mix until the level is back down to the widest part of the bottle. You can pour extra this back into the base jar if you want or down a drain. Now that the harvest bottle has been depleted, it needs to be restarted with some eels from the base. 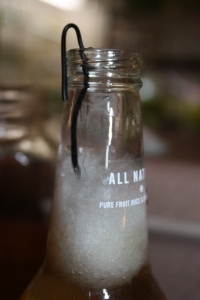 If you poured excess from the harvest bottle back into the vase, allow it to settle then just pour some of the base into the bottle. 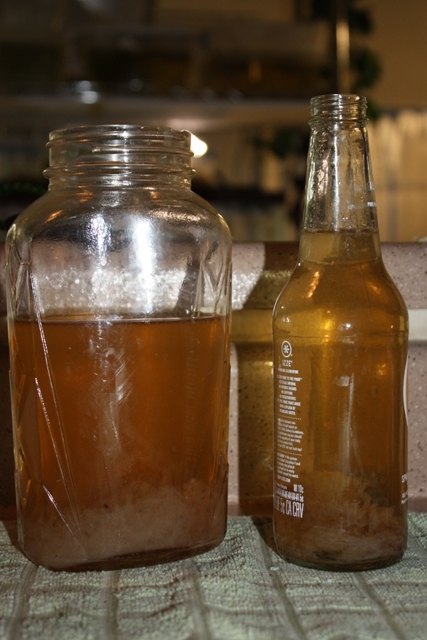 Add a little sugar to both the base and the bottle and set them aside to multiply. You will quickly have a large number of eels to harvest for another spawn. that time on they can be fed various micro worms and baby brine shrimp. You can continue to add vinegar eels if you feel there are small fry that would benefit from them. But by a week of age they need to be on more substantial foods. get your fry off to a good start.